Enter your company for the prestigious IDTechEx Future of Electric Vehicles Awards which recognize company innovation, success and development. Any company operating within the Electric Vehicles industry - land, water or air - is welcome to apply. 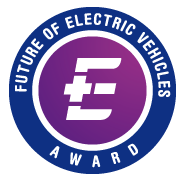 The award ceremony will be held on Tuesday December 7, at the unique event - Future of Electric Vehicles being held in San Jose on December 7-8, bringing together companies from around the world. If you would like your organization to be recognized for outstanding achievements in one or more of the following categories simply follow the entry instructions. This award will be given to a company which has developed and launched an imaginative vehicle either for land, water or air (in the last 24 months, December 2008 - December 2010) and is in the process of bringing it to market. The category will be assessed on the technical development of the product, its market potential, and benefits it brings over alternatives. This is the award given to an actual commercial success with an end-product (in the last 24 months, December 2008 - December 2010). Judges will look for success in terms of products sold and revenues generated. This award will be given to the most significant technical development over the last 24 months (December 2008 - December 2010) in the field of component or material development.